Thank you to our team of dedicated volunteers. Once again, they made the Valentine’s 10k a great success. Whether you were in the HQ, out on the course or around the start and finish, the runners all greatly appreciate your efforts. Instead of using an event photographer, we took photos ourselves at yesterday’s race. These photos are available online for free here: 2018 Photos. John Boyer’s photos are available on Dropbox. Steve Rencontre’s photos are available on Flickr. If you took photos you are happy to share, please do send us a link. Final race day instructions are available now. Please take a few minutes to read through these in advance of the race. If you have any questions please let us know through our contact page. Any last minute announcements will be made through the website and social media. Please keep an eye on these for all the latest updates on the race. New year, new race t-shirt! As with every year at Valentine’s 10k, we will be giving each finisher a free technical t-shirt once they cross the finish line! This year though our in-house design guru has decided to go for a smart little black number as opposed to the red from the last few years…we hope you like it! Entries Now Open For Our 2018 Race! 26.2 Road Runners Club are delighted to announce that entries are now open for 2018’s Valentine’s 10k race, to be held on Sunday 11th February 2018 at 9am. Entries are available via the Sports Systems website from just £15. 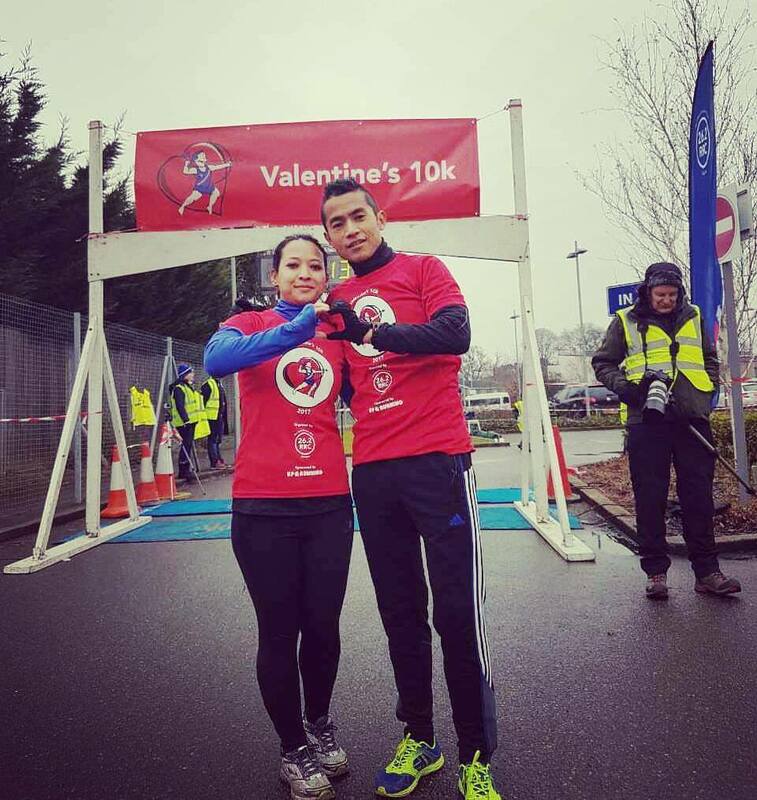 A write up of this year’s successful Valentine’s 10k is in the news. The Surry Comet have published our write up of the event. You can see the article on the Surrey Comet site. Happy Valentine’s Day from everyone at 26.2 Road Runners. We hope you enjoyed the 2017 edition of the Valentine’s 10k. We look forwards to seeing you again in 2018. Our provisional date for the race is 11th February 2018. Thank you to our sponsors Up and Running, Kingston. If you didn’t get a chance to see their pop-up shop at our event, why not head to the store in Kingston. More details can be found on our Sponsors page. 26.2 Road Runners and all the competitors in 2017 Valentine’s 10k would like to say a big thank you to all the volunteers who made this year’s event another roaring success. The race ran without incident and the runners were very appreciative of all the encouragement along the route. Without our volunteers we would not be able to hold the event. Thank you to all the members of 26.2 RRC (#tbrciS) who gave up your Sunday morning to stand in the cold! Thank you to everyone who came to our race today. We hope you enjoyed taking part in the race as much as we enjoyed putting the event on for you. We look forwards to seeing you again in 2018!